With many types of drug charges, the accused may face jail time and other significant punishments if he or she is found guilty of the crime. 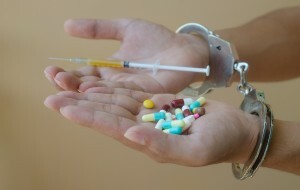 In some cases, the evidence against the accused can seem significant, such as if the drugs were found on your body during the time of arrest. If you face drug charges, you may think that a Toledo drug lawyer or a lawyer in Maumee, Ohio will not be able to help you when evidence against you is significant. However, in reality, a Toledo OH or Maumee area drug lawyer may help you in a number of ways. These are only a few of the possible strategies that may be applied. Your attorney may have considerable experience with similar cases and may know which strategies are most effective based on the circumstances surrounding your case. Your drug lawyer in Maumee or Toledo OH may help you to avoid jail time related to your drug charges in several different ways. If your civil rights were violated, such as if your Miranda rights were not read to you, the attorney may ask that all charges against you be dropped. In some cases, the attorney may ask for a lighter sentence due to the evidence that is available. In other cases, the attorney may negotiate a plea bargain in exchange for your testimony or other information that you may have that could be helpful to law enforcement officials. When you initially meet with your attorney for a consultation, the attorney can learn more about your case and can tell you more about the potential outcome that he or she believes is feasible. Even when all evidence indicates that you are guilty of the drug charges that have been filed against you, the reality is that a skilled, knowledgeable drug lawyer may have many different strategies and techniques that can be applied to your case. A smart idea is to meet with a Maumee or Toledo drug lawyer soon for a consultation. This will provide you with more information about your options and can provide your attorney with more time to work on your case and to build an effective defense strategy. Get your yard looking its absolute best with custom landscaping solutions from Twin Oaks. Find us online at http://twinoakslandscape.biz/, visit us in Ann Arbor, MI at 4100 South Maple Road, or call us at (734) 213-6911.